The George and Barbara Bush Foundation is dedicated to preserving the historic legacies of President and Mrs. Bush by supporting and promoting education and service-oriented programs at the George H.W. Bush Presidential Library and Museum and The Bush School of Government and Public Service, as well as the Barbara Bush Foundation for Family Literacy, the Barbara Bush Houston Literacy Foundation and Points of Light. We will continue to foster the life’s work of the 41st President and former First Lady to educate our citizenry and inspire the leaders of tomorrow for lives devoted to serving their country and their fellow citizens. The George and Barbara Bush Foundation values civility, integrity, diversity, inclusivity, results-based activity and — most of all — service to others. 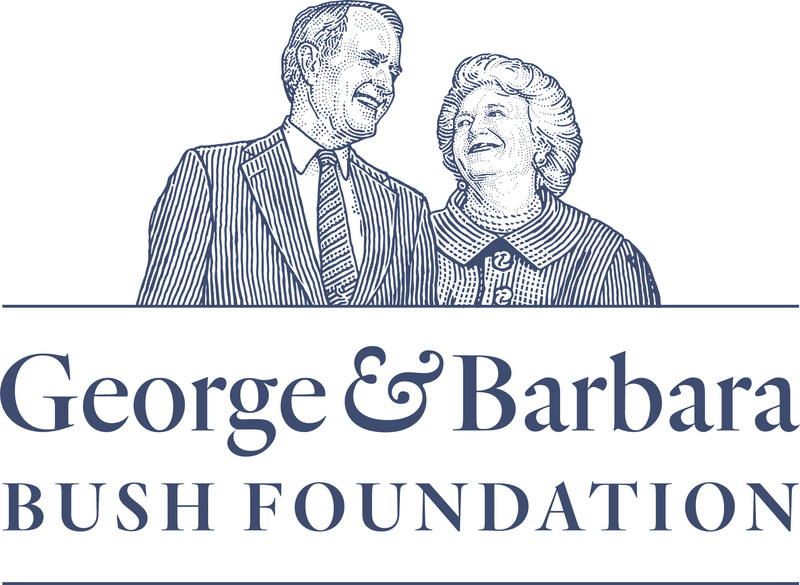 The George and Barbara Bush Foundation will contribute to a rising, civil society by educating, engaging and inspiring citizens at all levels with a special emphasis on service. 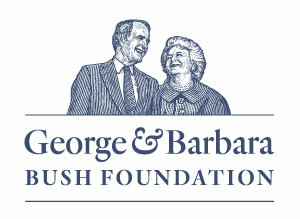 The George and Barbara Bush Foundation will perpetuate the work of its namesakes by promoting, supporting and coordinating between their legacy organizations; principally the George Bush School of Government and Public Service, the George H. W. Bush Presidential Library and Museum, the Barbara Bush Foundation for Family Literacy, the Barbara Bush Houston Literacy Foundation, and Points of Light.